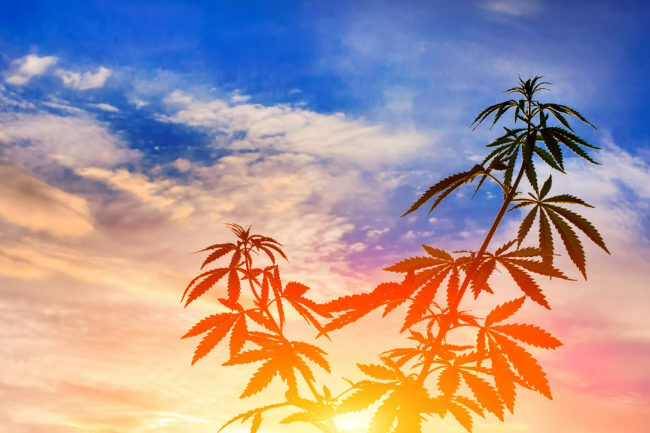 Medical marijuana continues its eventful 2019 in the Sunshine State. Mere weeks after Governor Ron DeSantis signed a bill ending Florida’s ban on smokable medical marijuana, the Florida Legislature pushed back on the industry. A February house bill that sought to legalize recreational cannabis died without a hearing or a vote, the House Appropriations Committee rejected an amendment that would have allowed medical marijuana to treat opioid addiction, and, despite the lack of public support, the Legislature proposed a bill that would place caps on THC levels in smokable medical marijuana. Nevertheless, the thriving cannabis industry in Florida, a market that is valued in excess of $5 billion and has seen 200,000+ patient registrations, marches forward undeterred. In a move that was predicted in January, the Florida Department of Agricultural and Consumer Services just finalized its rules for how medical marijuana growers can obtain licenses to make and sell edible cannabis products. The delay in developing these regulations comes mainly from the concerns over food poisoning and allergen contagion. The Director of the Cannabis Program for the Agriculture Department, Holly Bell, commented that the concerns are due mainly due to medical marijuana patients’ compromised immune systems and the danger that food poisoning and contagions pose. Technically, edible medical cannabis is already allowed under Florida law but treatment centers cannot produce and sell the products without the finalized rules from the Department of Health. Florida Statute Section 381.986 defines edible products and sets out the qualifications that a treatment center must possess before selling edible products as well as product restrictions and specifications. Specifically, Section 381.986 requires that edibles be made from marijuana oil, a center that produces edibles must have a permit to operate as a food establishment, and, among other things, that the Health Department is supposed to set rules for acceptable forms and ingredients as well as product color, shape, and packaging. Treatment centers are not supposed to process or dispense edibles until these rules are set. With the department’s rules now being finalized, it will be up to the department to issue the rules and allow of public input prior to implementation. In anticipation, some in-state growers and edible producers have already begun collaborating with out-of-state manufacturers and sellers in preparation for entering the nascent market. These partnerships will likely prepare Florida edible manufacturers to get a head start by looking to rules and regulations set out by other states. Florida may look to borrow from other states’ rules like those recently adopted by Washington regarding approved colors and shapes for edible products along with approved fonts, background and accents colors for edible packaging. With the recent proposed caps on THC levels in smokable products, Florida may even look to other states that already impose THC caps on edible products, like California, to reinforce the proposed caps and impose the same limitations on edible products. As always, it will be important for Florida producers and dispensaries to closely examine and comply the rules set forth by the Department of Health prior to manufacturing and selling edible products. The regulation of cannabis infused edibles appears to have no clear end in sight as states like Maine, New York, and Ohio have begun pushing for tighter regulations on CBD infused edibles due to the FDAs restriction on the use of cannabidiol in food. Goldberg Segalla is one of the largest and fastest-growing law firms headquartered in the United States, with a footprint that reaches from Los Angeles to London. Our more than 400 attorneys serve regional, national, and international clients from over 20 offices, with teams based in New York, Chicago, Philadelphia, Miami, St. Louis, and other major business and economic centers across 10 states. An AmLaw200 firm, Goldberg Segalla handles all forms of dispute resolution, guides clients through complex transactions, and provides proactive legal and regulatory counsel to help companies and professionals from a wide range of industries minimize and manage risk. For more information, visit our website.